While it’s nice to have an air compressor around, it’s not a totally maintenance-free tool to leave sitting in your garage (why you need to drain your air compressor). Many air compressors need oil to run properly. If you’ve never changed the oil on your compressor, or you never knew you needed to, your first question will be what kind of oil to use for air compressors? Tool Tally makes it easy. What Kind of Oil for an Air Compressor? Air compressors normally use synthetic or standard, non-detergent oils. If the manufacturer does not specify otherwise, you can use any standard 20-weight or 30-weight oil. Following the manufacturer’s guidelines is always the most important. There are, however, specific oils made for compressors. They don’t cost much more than standard oils do, and they are formulated for industrial use-cases, making them ideal for the day-to-day use of the local machine shop or job site. If you want to make the best choice, you need to understand why the oil type matters. Here at Tool Tally, I dig a bit more on what kind of oil to use for an air compressor. Do All Compressors Need Oil? Some air compressors use oil. These compressors tend to have higher duty cycles, such as these shop compressors. Your small 12 volt air compressors and many of the jobsite models do not require oil. The oil you put in acts as a lubricant to keep the machinery inside running at full efficiency. Using the right type of oil is necessary to keep it working as it should. Some air compressors are designed to work without needing oil, but these types are not as common. Oilless air compressors tend to have shorter lifespans than regular oiled compressors because the components experience more wear and tear. The motors come sealed from the factory with some amount of lubricant already inside and a non-stick type material coating the parts. It lasts well at first, but deteriorates quickly and cannot be re-lubricated. Most people use air compressors that need oil. They last longer and the maintenance is not difficult enough to be intimidating. All you need to do is get the right oil and change it every once in a while, as well as topping it up as needed. Oil is oil, right? Not so fast. Believing that all oils are equal could cause you to accidentally ruin your air compressor! It’s easy to see the difference between things like cooking oil and car oil, but even individual car oils come in different types. Similarly, compressor oils are made from a different mix than car oils, cooking oils, and other common lubricants. Don’t use oil that’s not intended for small devices similar to an air compressor. Motor oils, for example, often do not match the requirements of small machinery like compressors. You should not use your leftovers from an oil change to top up your compressor without first checking a few things. 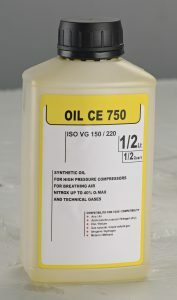 Oil for air compressors is a little bit specialized. While you can find it fairly easily, you may not have a good selection everywhere you look. Most hardware stores and some auto parts stores will have compressor oil. If you check your local stores, you may be able to find a few different types of oil for your compressor. But, if you don’t need the oil immediately, it’s easier to order it online. There’s an enormous selection of brands and types of oil from Amazon, so you won’t have to try to make something work when it’s not supposed to. You’ll be able to find exactly what you need. 1. Powermate Px P018-0084SP is equivalent to a 20 weight compressor oil that’s free from detergents and other additives. It’s a synthetic oil that’s designed to work in low temperature ranges from 0 degrees F.
2. Royal Purple 01513 is a high performance synthetic oil with a higher viscosity. It’s measured to be an ISO 100 weight oil, which is equivalent to SAE30 . This oil is designed to have a long shelf life, but it won’t be as useful in colder climates. For pumps that slave all day in the heat, this would be my first choice. 3. Campbell Hausfeld MP12 is a 30 weight oil free from detergents and other harmful additives. It’s a standard oil, not a synthetic. This compressor oil is for normal temperature ranges and may not work well in extreme cold temperatures. Made by one of the most well-known pneumatic brands, it is hard to go wrong with this formula. Air compressor manufacturers each have their own guidelines about what should and shouldn’t be used with their machines. Ultimately, these are the guidelines you want to follow. They should give the basic requirements for the type of compressor oil to use and may include guidelines for higher performance. Oil comes in different textures, which is known as the viscosity. This could also be referred to as the weight of the oil. A higher viscosity means the oil is thicker while a lower viscosity means it’s more watery. Most air compressors use oils with a viscosity of 20 or 30. Viscosity is often called SAE or weight, so the oil might be labeled as 20 weight or SAE 20. Some oils are weighed in the ISO scale, which can be matched to find the equivalent SAE weight. Viscosity is the most important measure for a compressor oil. If it’s too thick or too thin, it may not work well in the machine and could cause it to shut down. The other important measurement for compressor oils is the temperature range. Some oils might have the right viscosity, but they won’t operate as expected in every temperature range. Cold below freezing or heat about 120F can both cause oils to behave differently. Oils will usually be labeled with their normal temperature range. If you live in an area that experiences extreme temperatures in either direction, you’ll need to get oil that will maintain the right viscosity in your expected temperature range. Keep in mind that heat can be generated from the air compressor itself. If the compressor’s engine produces a high level of heat, you will likely need to use an oil that’s intended for that temperature range to help it last longer and work more effectively. Pay attention to the type of additives the oil contains. Some oils have extra additives that are beneficial in one application but will be detrimental to your air compressor. An example of this is detergent additives that are present in diesel engine oil. They help to clean diesel engines, but the same additives could ruin your air compressor motor over time. Additives that do help air compressors include elements that will help the motor resist corrosion or prevent rusting. These types of additives are useful in compressor oil and are found in many commercial varieties. Lubricants, like compressor oils, can be made in two ways. They can be created using a mineral oil base or a synthetic base. Standard air compressor oils are oil-based lubricants. Synthetic compressor oils are developed to serve a similar purpose but are made using a synthetically created base rather than an oil base. They are a more refined oil that has gone through much more processing to engineer them for this specific use case. Both can be used in most air compressors. However, different models may have specific requirements about the type of oils that work best, including whether they are standard or synthetic. In many cases, synthetic air compressors oils are specifically recommended for compressors. Screw compressors can get 8,000 hours of use between changes.This is mainly because they don’t contain some of the compounds found in standard oil that create build-up around the valve backs and faces. They also cause less carbon build-up than standard oils. Many synthetics are better for compressor performance and longevity. How Often Should You Change Compressor Oil? There are two types of air compressors that use oil: reciprocating and rotary compressors. The more you use either of them, the more frequently the oil should be changed. For a reciprocating compressor, oil changes should be about every 3 months (800 hours). For a rotary compressor, they should be about every 7,000 hours of use. For both types of compressors, you should change the oil a minimum of once per year, even if you don’t use it that much. Letting the oil sit for too long may cause it to break down over time and damage your compressor. Each device may have specific instructions about oil change requirements. See if your compressor’s manufacturer has any recommended oil change timing. The size of your compressor will determine how much oil it uses. Larger compressors use more oil while smaller ones will use less. Most oil compressors should not use more than a few ounces of oil at a time. The process for changing compressor oil is as simple as unplugging, draining, and refilling again. Motor oils can get the job done. They key is to use one that is non-detergents. Detergents are designed to pickup harmful matter and carry it to the oil filter of an engine. Most compressors don’t have an oil filter, so you don’t want the oil carrying harmful particles around inside the compressor. Instead, you want a nondetergent compressor oil system that lets the particles fall to the bottom of the oil pain where they stay until the next time you change your pump oil. No. You don’t need to buy the exact brand of oil for your compressor. It may be easier to match the brands for simplicity’s sake, but it’s not a requirement. Make sure that you get an oil that meets the manufacturer recommendations for your compressor, regardless of the brand. When should I add more oil to my compressor? You should only top up the oil if it gets too low on the dipstick. You might hear the machine motor making more noise or feel it heating up more than usual. Check the dipstick to see the oil levels. In most cases, it’s better just to change the oil rather than only topping it up, unless the oil is still clean or was recently changed. What should I do if I overfilled the oil? Most compressors have a drain plug that allows you to empty out the oil from the holding tank. If you think you overfilled the tank, you should locate the drain plug and drain the new oil and refill it again. In this case, it’s better to waste a little bit of oil than it is to be sorry. What happens when oil gets in the air lines? Most air compressors have oil separators as a standard part of their motors. However, if there’s an issue with the separator or compressor pump, oil can be pushed into the air lines. Small amounts of oil can find their way into the lines even in a good situation, but if there’s too much oil it could indicate a problem with the pump. Why is my compressor blowing oil from the outtake? The most common reason for this is when the oil return line is not large enough or is clogged. This prevents the oil from returning to the tank as it should and sends it to the crankcase instead, where it can be drawn up and expelled through the outtake. Is my compressor using too much oil? If your compressor is using too much oil, there could be one of two problems going on: the oil may be leaking, either inside the compressor itself or outside it. Or, you may be using the wrong type of oil and it’s not working properly within the motor. This is more likely to happen if the oil viscosity is too low. How do I stop premature oil failure? To avoid this kind of issue, you need to avoid using your air compressors for long periods of time without stopping. Premature oil failure happens because the compressor heats up and operates at very high temperatures for an extended period of time (exceeds duty cycle). This results in a dangerous situation where oil is coating the inside of the compressor. 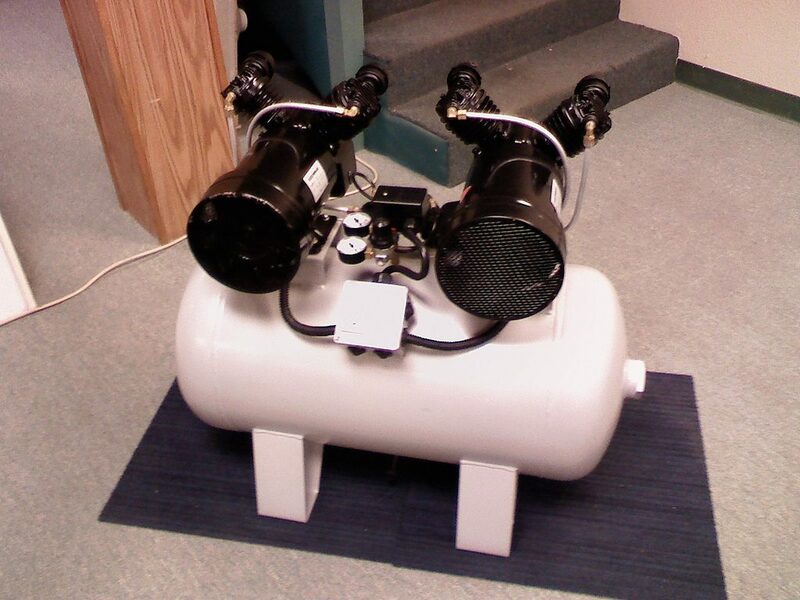 Getting the best air compressor for your type of use, is the best way to avoid oil failure. As long as your oil is detergent-free, most compressors work well with any SAE 30 motor oil. Investing in a compressor-specific oil does not cost much more and may extend the life of the compressor.